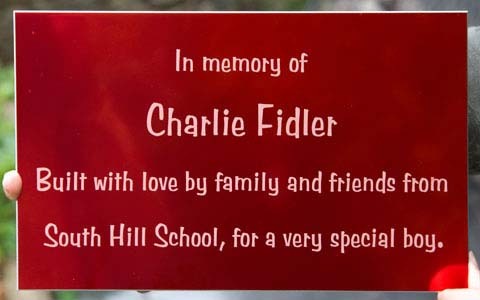 These coloured Aluminium Plaques are made from anodised aluminum,which has a tough baked finish. This material is also more resistant to scratching due to being harder than brass and is also tarnish free. A stylish nameplate with no maintenance required, apart from the occasional wash.
Because the process used to create these signs can be done to a high level of detail we can use any image or decorative border. 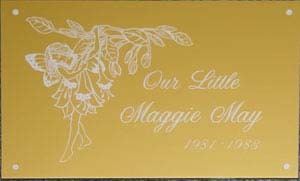 Also we can put photographs directly onto the aluminum plaque in a black & white format. 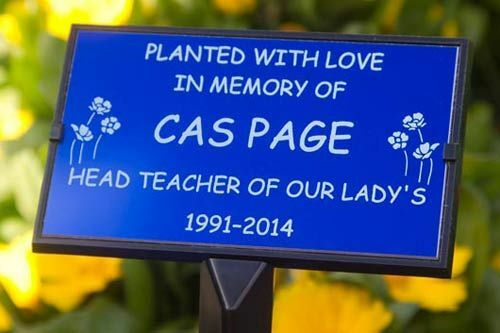 We also offer dome screw caps to create a more stylish finish to your plaque. Please see our fittings page for details.